Kick off your visit on the 12th (Tue): take a stroll through Greenwich Village. Keep things going the next day: browse the eclectic array of goods at Chelsea Market, examine the collection at New York Public Library, and then step off the mainland to explore Fire Island National Seashore. 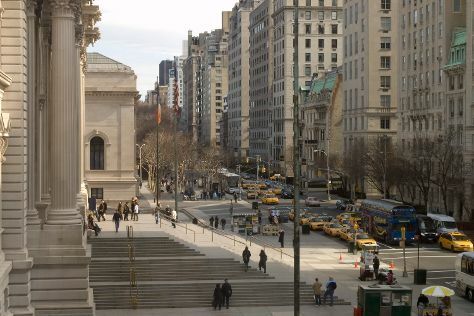 For maps, ratings, reviews, and tourist information, you can read our New York City day trip planning site . Chicago to New York City is an approximately 5-hour combination of flight and bus. You can also fly; or drive. Traveling from Chicago to New York City, you'll lose 1 hour due to the time zone difference. In March, plan for daily highs up to 49°F, and evening lows to 35°F. Wrap up your sightseeing on the 14th (Thu) early enough to travel to Boston. 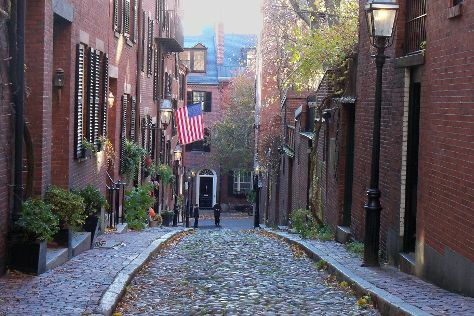 On the 15th (Fri), take a stroll through North End, then take a stroll through South End, and then explore the world behind art at Museum of Fine Arts. Get ready for a full day of sightseeing on the 16th (Sat): kick back and relax at Nantasket Beach, then admire the natural beauty at Boston Public Garden, and then take a stroll through Beacon Hill. To see more things to do, traveler tips, other places to visit, and more tourist information, you can read our Boston trip planning website . Traveling by combination of flight and bus from New York City to Boston takes 3.5 hours. Alternatively, you can do a combination of bus and flight; or drive. Traveling from New York City in March, things will get little chillier in Boston: highs are around 43°F and lows about 29°F. Finish up your sightseeing early on the 16th (Sat) so you can go by car to Portland. Get outdoors at Ogunquit Beach and Mackworth Island. Get some cultural insight at Sap House Meadery and Diamond Cove. 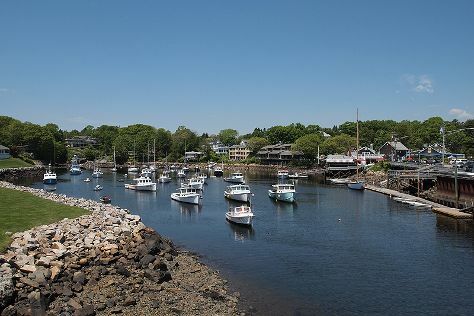 Explore the numerous day-trip ideas around Portland: Marginal Way Walkway (in Ogunquit), Tamworth Distilling (in Tamworth) and Black Cap Hiking Trail (in North Conway). It doesn't end there: examine the collection at Maine Jewish Museum and learn about winemaking at Maine Mead Works. To find photos, maps, more things to do, and more tourist information, refer to the Portland road trip planning website . Drive from Boston to Portland in 2 hours. Alternatively, you can take a bus; or take a train. Traveling from Boston in March, expect slightly colder with lows of 24°F in Portland. Finish your sightseeing early on the 19th (Tue) to allow enough time to travel back home.